How do online customers perceive your prices? How would they approach and react towards your prices? These are two core questions that need to be answered while describing the price perception of customers towards your real prices. However, the perception is sometimes different than the reality, especially if we are talking about online pricing. The most common belief is that the best pricing approach to attract customers’ attention is delivering the cheapest offer in the market. But, the reality is not saying the same exactly; online pricing’s influence reaches further and beyond! Actually, there is more than one factor that affects price perception, which is the starting point of the buying decision process. Our experience shows us that offering low prices can be the cause of a lack of trust, especially in first-time visitors to your online shop. Or, selling premium products while offering low-prices at the same time can incur some doubts about the quality of service. Alternatively, if you are setting premium prices and your potential customers are aware of the price of similar items that are offered by your competitors, they need a reasonable explanation for the additional value that you promise to provide. So, when it comes to e-commerce price perception vs. reality, it is all about delivering the value proposition in a proper way. Know your customers, their habits, their impulses to buy. Then, design your value proposition based on those overall expectations. That’s how you can manage your own customer price perception and hold the control in your hands. For example, a discount retailer has applied a perception-driven pricing strategy in a market where price competition is fierce. So, the company raced for the bottom and undercut its prices. But, the plans did not go well because the retailer offered a broader range of prices when compared to its competitors. That misapplication left customers feeling confused and let them think that the company had higher prices than its key competitor. Also, the company discovered that customers were more price sensitive about certain product categories, like children’s T-shirts. Now, let’s take Amazon as an example and learn how well-managed price perception can bring a tremendous impact on overall business. This online retail giant has set a perfect example of how to build a low-price perception in their online shoppers’ minds. Customers believe they can always grab the best deal from Amazon and whenever they need to buy an item online, they check Amazon first. Alongside that strong perception, Amazon also provides additional benefits such as a great variety of products, exceptional user experience, and one other important thing – safety. But that isn’t everything and here comes the best part! As mentioned above, many consumers believe that Amazon offers the best prices on almost every product. But, of course, that’s not the case. Since Amazon created a strong perception of being a low-price leader and managed to become the first stop for the majority of online sales, there’s much less pressure to set low prices on all its products. With that power, contrary to common belief, they are not always undercutting competitors’ prices. In fact, Amazon strategically selects the products, such as best-performing items, on which to compete aggressively and charges relatively more on others. In one study, Jet.com was cheaper than Amazon by 27%. Managing price perception does not, in fact, only mean deciding prices but it can also open new strategic opportunities and capabilities for businesses in consumer markets. In this article, we’re going to dig a little bit deeper into price perception. First, we should note that your actual price level is, indeed, a crucial part of price perception; it would be impossible for a premium brand like Chanel to set a low-prices, and similarly, Old Navy can’t create the perception of being a premium retailer. We need to distinguish the type of customers. Every customer has different motivations and impulses while making purchases. You can convince a value-seeking customer to buy from your online store by offering an easy-to-progress purchase path, sooner delivery times, prestige and friendly customer service. Or, you can apply competitive prices by monitoring your competitor prices with the right technology and adjust the prices in order to target price-sensitive, deal-seeking customers. Effective branding has a crucial impact on managing price perception. It defines the willingness of a customer to purchase or influence how much to pay for your product. That’s why brand identity must be handled very seriously and be consistent at every stage while delivering the message. Look at the example below. The showcase for the METI Coffee Table is designed for customers who are searching for a sophisticated item. The product is portrayed with a flawless image, full description, and all its additional benefits. Actually, the premium branding carries the value of the product and expecting higher prices seems rational. Or, take a look at Beardbrand. You feel that you are not so much buying a product but rather purchasing a lifestyle. The message is conveyed consistently at every stage. Thanks to their effective branding, the customers are ready to pay more in order to get the emotion-driven values. That competitive advantage gives an immense price power to the brand. I already mentioned that there are various factors that affect price perception or, in other words, the amount that customers are willing to pay. Free shipping, rapid delivery, and easy returns are important factors which are highly involved in the sales cycle. Online shoppers don’t like paying extra money for the transactions they have already made, and it can be the main reason for abandoning their carts. Including free shipping and rapid delivery make your products more desirable and encourage your customers to finalize the buying process. Also, offering a free return option will improve the price perception because online customers are inclined to pay more if they know they have the chance to return the item for free if they do not really like the product. In order to control the perception of your prices, your key value items need to be identified. In simple terms, key-value items are the frequently purchased products whose prices can be easily noticed and remembered by online customers. Ideally, key-value products cover somewhere between 15 to 25 per cent of all of your sales. Other products in your line are considered as supportive items. Key value items are often bought by price-sensitive customers. That’s why they drive price perception. Customers are often faced with the price (every time they purchase), and since the key value item is supposed to deliver good value, price-sensitive customers will remember how its price compares to other online stores. In such a scenario, charging competitive prices on key products would be a wise and strategic move in a price sensitive market. While charging competitive prices for the purpose of keeping price perception in good shape, you can apply higher prices on other products. So, you are able to keep your bottom line and increase your revenue at the same time! 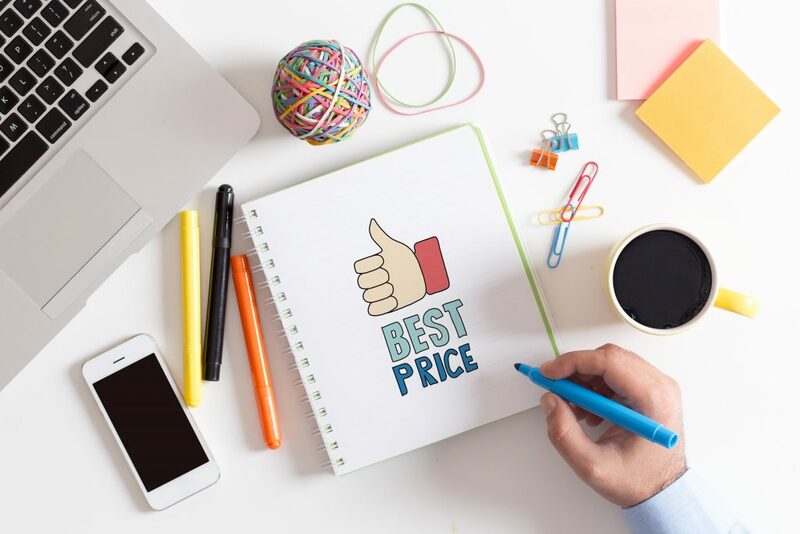 Optimizing your pricing based on value will ensure you realize how much customer experience and your company’s brand value can play a part in the pricing perception of your product. A customer-first approach and clear, strong communication will always enhance the value. Start creating more value for your [key value items] and you’ll see what a huge difference it makes across your business. Make sure you’ve figured this out before making any costly investments or miscalculations about your price, perceptions, and positioning. Interested in price monitoring? Contact us – we can help you! -> Click and fill the form. Dealavo Smart Prices is a tech company specializing in web scraping, data cleansing, data analysis and delivering powerful and actionable e-commerce insights to brands and e-shops. For more than five years we have been delivering services for many clients from 30 different countries. We have gained the trust of global brands including Samsung, DeLonghi, MSI, Xiaomi, Acer, Epson, and many more, including one of the top 10 biggest pure play e-shops in Europe.